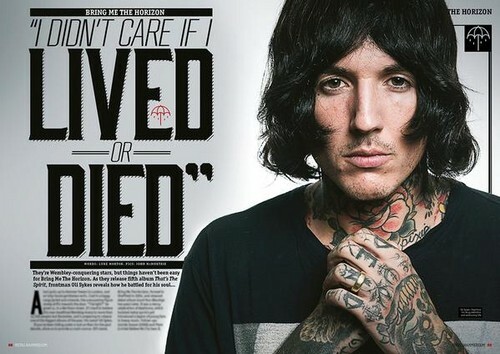 Oliver Sykes Interview with Metal Hammer. . Wallpaper and background images in the Bring Me The Horizon club tagged: bring me the horizon 2015 metal hammer photoshot oliver sykes.